GmUI is a simple and clean UI for World of Warcraft. I made it following the idea to use the settings in WTF folder less possible. This because I usually have to share this UI with my sons and guildmates. There are a couple ways to install it. The install script can't be upload in this archive, because usually sites like WowInterface and Curse prevents to upload .exe/.cmd files. It is a right policy and I agree with it. I have made a little installer script that backups your old settings and then deploys the new interface: Install-gmUI.cmd . You exec it, choose your WoW folder, your account profile and the script can automagically deploys the UI for you. If someone wants to check it: http://www.disturbia-guild.com/gmui is welcome. I'd like to say thanks to all addon's authors and forum users that help me so much in writing my addons and this UI. My UI is planned to be use without so many changes by end users and for this reason it is not so easy to customize if you don't want to manage some lua files, but it is not difficult either. It is planned with the idea that user have to understand the addon world and experiment a little bit with them. Use "--" at the beginning of the line 115 to hide the bar, remove the -- to eventually shows it (based on game preferences). Check this file further to modify other nameplates settings. file to edit: World of Warcraft\Interface\AddOns\gmTweaks\core.lua, line 173 and following. enables/disables the possibility to move (and configure) the buffs/debuffs frame. enables/disables the move of the ObjectiveTracker a little bit to the left. - Update gmTweaks to move the ObjectiveTracker a little bit to left. In this way we can use the quest items and the lfg near the quest lists if you use the right bars. - Change the texture of Unit Frames to a flat one. But there is a problem in this solutions. So I simple comment out this code (also because I don't show those slots and this seems to work nicely. I'll upload a new update soon. This is Unix-Land. In quiet nights, you can hear the Windows machines reboot. This in the wait zork will fix this. Last edited by gmarco : 03-17-19 at 03:36 AM. Should I add it to the top or bottom of the LUA code? You should add the code before the last "}". to resets the frames to what you set in the config files. yes you can make the buffs appear above the unit frame. for the "aura/buff bars" I think you should use a separate addon or you have to code it by yourself in OUF. In the Zork framework, which is the base for my UI I don't think it is possible to realize using only modification of configuration files. In the point 4 I want to explain that if you have a pack of 5/6 mobs and you select 1 of them you can easily check which one of the pack you select checking the nameplates. there are some global vars that you can change to modify the color and aspect of (selected) nameplate. Is it more clear now ? 3) Is there a way to make personal buffs appear as auras above my unitframe ( like it does in ELVui for example ) or would I need a separate addon for it . 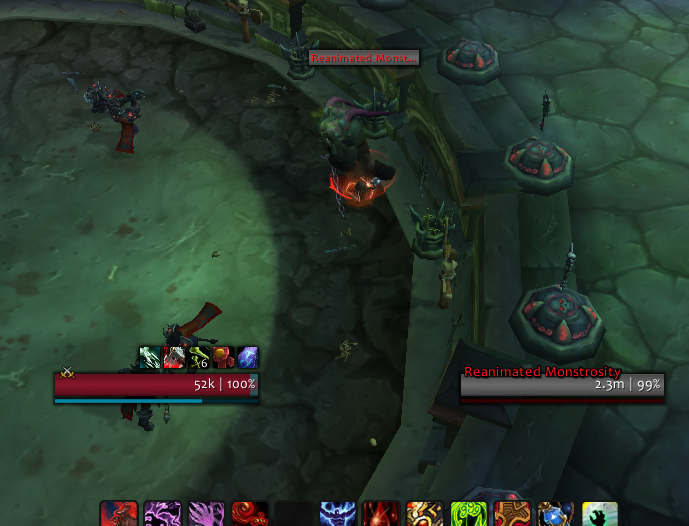 4) Is there a way to highlight a targeted unitframe so I can easily spot it in m+ where there are packs of 5-10 mobs? If you want to enable the buffs you can put them to true and change the numbers from 5 to 7 for example. You mean something like the point 1) but for player.lua ? AddOns\gmTweaks\core.lua at the end of the file where there are some global vars that you can change to modify the color and aspect of nameplate. Last edited by Longwei : 08-07-18 at 08:10 AM. Last edited by Longwei : 08-01-18 at 01:27 PM. Last edited by gmarco : 07-30-18 at 04:08 PM. just installed your ui, and my keybind text is now missing, any clue how to enable them if they are disabled? at line 160 put 1 instead of 0.